The .NET framework was introduced to the world around 2002 and since that time this framework is keep on growing. Microsoft is keep on upgrading its .NET framework from time to time and doing the required modifications to make this framework more efficient to work for the developers. In the past, we were using other object-oriented languages like Visual Basic, C++ etc. which were all based on COM model known as Component Object Model. COM model was very very popular and lots of applications were coded during that time. But like any other language, there were some pros and cons. The object-oriented nature of those languages was very popular, but those languages were completely bound to Windows OS, which means if you want to use any application coded in those languages that will fail to run on other OS like Mac, Linux etc. including to that the deployment model was not that much helpful. If you make an application in Visual Basic and try to run that application on Windows OS, there will be requirement to register certain required dll files, which are known as dynamic link libraries. If in any case, those libraries are not available which are very essential for any Visual Basic application to run properly, then you have to deal with the unexpected errors. In .NET framework, you will get plenty of advantages, might be more in the upcoming future. Some of the advantages are listed below. Interoperability. This basically means if you have coded any library using COM model, you can still use that library in your existing .NET projects. Multiple Programming Languages Support. The .NET framework is not bound to any specific language. The .NET framework gives you option of various languages which you can use to create an application. For example C#, Visual Basic.Net, F# etc. Common Language Runtime. By intalling .NET framework on any OS, you can run your .NET application without any errors. 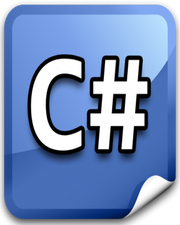 All .NET framework based languages makes use of CLR for execution and it is common for all languages. Easy Deployment Model. As I stated before, .NET supports numerous languages. Like COM model, you don’t need to care about registring additional dll files. The .NET framework will take care of it for you. Low-Level Language Support. Using .NET framework, you don’t need to care about all the low-level API calls. The .NET framework contains a good amount of base class libraries, which will help you in dealing with those low-level API calls.